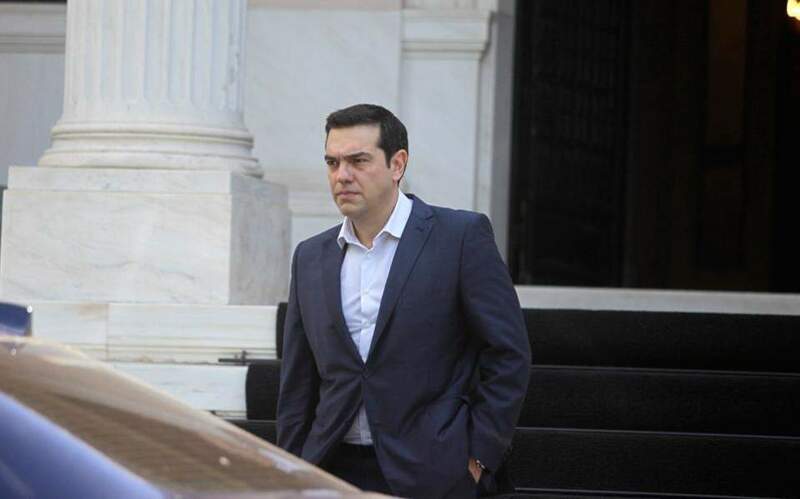 Just a few weeks before local and European Parliament elections, Prime Minister Alexis Tsipras is said to be mulling snap general elections, as a series of initiatives aimed at boosting the fortunes of his flagging SYRIZA party have failed to yield fruit. With conservative New Democracy maintaining a strong lead over the leftists of close to 10 percentage points, Tsipras’s public insistence that general elections will take place in October as planned is beginning to sound unconvincing and has reignited speculation about snap polls next month or in June. Tsipras has only a few more hopes to reverse his fortunes but those too are unlikely to make a significant difference. The ongoing investigation into the alleged bribery scandal involving Swiss pharmaceutical firm Novartis is expected to culminate, possibly as early this week, with prosecutors bringing charges against one or more of the 10 Greek politicians originally implicated in the probe. However, sources suggest that the impact of such a judicial intervention would be limited, as those charges would be based on witness testimony (no evidence has been found of illicit payments to Greek politicians). Some argue that this might bolster rather than undermine the popularity of ND and the centrist Movement for Change (former PASOK) with which most of the politicians named in the probe are aligned. Meanwhile, the latest in a series of initiatives by the government to lighten the burden on Greeks – a reform allowing taxpayers to replay their debts to the state in up to 120 installments – might boost SYRIZA slightly but not enough to make a difference, analysts believe. Tsipras has also vaunted the benefits of the contentious Prespes name deal but, as his recent visit to Skopje made clear, there are no immediate solutions to Greek entrepreneurs’ concerns for the protection of the “Macedonia” brand. Also, the approval of a new framework for the protection of overindebted borrowers was watered down under pressure from Greece’s creditors to ensure that the country could win a positive decision at last week’s Eurogroup and secure the release of a 1-billion-euro tranche of funding. The positive decision will likely be used as part of Tsipras’s positive narrative of a Greece starting to stand on its own two feet. But the reality is that polls are not pointing to growing support for him and his party. According to sources, he is expected to decide on the timing of general elections within the next two weeks.